Quick Take: Parks and Recreation, "The Possum"
Review: Parks and Recreation, "The Possum"
"The Possum" showcased the best of what Parks and Recreation can do, intertwining great dialogue and performances and characters, all within a cheerful and earnest and goofy-without-going-over-the-top framework. And yes, it was flat out funny, which helps tremendously. We could have used more Aziz Ansari this week, but then again, ain't that always the case? Once again, anything with Aziz Ansari equals just this side of awesome. Why does Tom Haverford want to give Ann (Rasiida Jones) a teddy bear one month after Valentine's Day with a not-so-secret camera hidden within it? Does it matter? Uh, no. And the fact that Donna would love to take part in such a gift even whilst knowing of said secret camera? Even better, if creepier (which, let's face it, makes it better). Amongst the things that make this show super strong and in the highest tier of television comedies today: the editing. Quick cuts to asides and references and dream sequences and montages are not that interesting in of themselves. But Parks & Rec has mastered the art of the quick cut / flashback within a sharply focused documentary-style one camera sitcom that works so elegantly that it's a thing of beauty to watch. And funny too, which helps immensely of course. Fairway Frank. Of course Leslie (Amy Poehler) would know about Fairway Frank, the dastardly possum of the Pawnee fairways. That just makes total sense within the Parks & Rec-verse. And of course Frank would be dialed up as #3 on the Park Department's Most Wanted Pest List. "It's up to the Swanson Code" – Ron Swanson, with reference to an environment that has, amongst other things, oil-soaked rags housed above a wood-burning stove. Fairway Frank is about 1,500 times cuter than the truly disturbing real life possum bastards that I find underneath my car several times a year. April walking out of the room as Andy muses about getting Ann back whilst basking in the glow of media coverage of capturing Fairway Frank shows this show has the story arc and characters and performances to keep you watching beyond the peripheral jokes. Andy singing to Frank about how "you're gonna fry when the flip that switch." Just awesome. 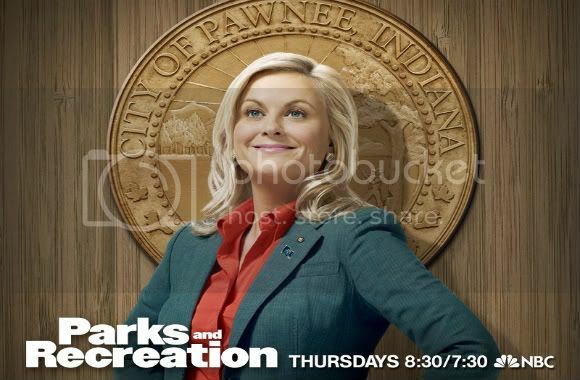 Video: Parks and Recreation, "The Possum"
Recap: Parks and Recreation, "The Possum"
When a pesky possum wreaks havoc on a Pawnee golf course, Leslie is asked to set up a task force. 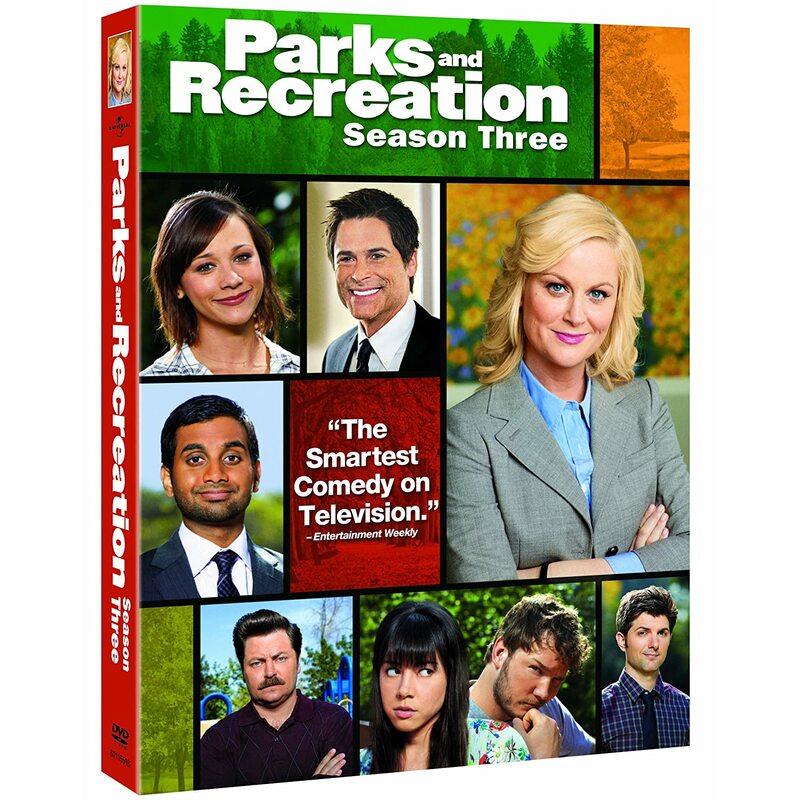 From Around the Web: Parks and Recreation, "The Possum"
TV with Alan Sepinwall: "The Possum" was "Parks & Rec" clicking on all levels: broad physical comedy (various bits with the possum), political satire (the possum case turning into a death penalty allegory), romantic tension (April falling even more for Andy, and Leslie finding out), and just the characters being themselves, whether it was Leslie practically shaking at the thought of being on a mayoral task force, Tom decking himself out in golf clothes or another vintage Ron F'ing Swanson diatribe about the evils of government. TV Squad: Other than the fact that they had a live possum on Andy, there was something else that I found surprising: the fact that I find myself agreeing with Ron Swanson more and more. I kind of feel that if he wants to add onto a woodworking shed that resides on his land and only he goes in, then he should be able to, without having the city planner come in and ruin his fun. However, I do concede that the collection of oil-soaked rags hanging over the wood-burning oven is probably a bad idea.